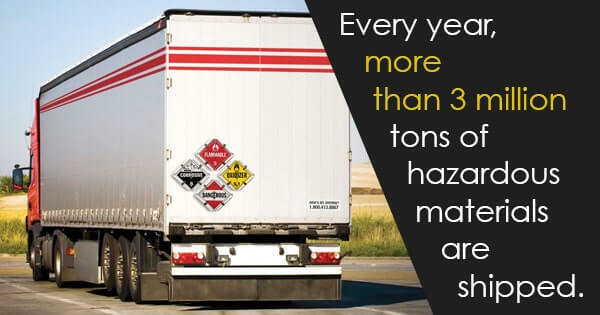 Every year, more than 3 million tons of hazardous materials are shipped and 94% of those shipments are done by truck. 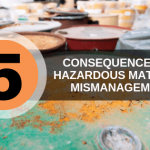 Whether your organization is big or small, handling hazardous waste in a safe and compliant way is critical to avoid hazmat-related accidents. 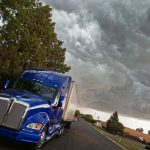 Despite employees holding DOT Hazmat Certifications and Hazardous Waste Management Certifications, there are still a number of common citations the Environmental Protection Agency finds every year. To help avoid these violations in your own organization, take a look at the top four common citations by the EPA. Weekly inspections are necessary according to the RCRA. Keep logs of the inspections you conduct to avoid potential citations. Try to make your weekly inspections on the same day every week to make the inspections easier to remember. What’s more, it’s good to have more than one employee responsible for the inspections in case the one worker calls in sick or takes that day off. You make sure there’s enough room to move between furniture in your house, so why not make sure there’s adequate room between hazardous materials? The EPA requires that hazardous material containers are spaced in a way that allows easy movement between aisles in the case of an emergency. It’s also important that emergency equipment and exits are easily accessible. Hazmat containers need to be kept closed when you’re not adding or removing waste. All latches and precautions need to be considered when closing a container to be sure no waste would spill out if the container fell over. All workers need to have a DOT Hazmat Certification and must know how to properly close containers to avoid accidents. The EPA requires that all generated waste needs to be properly characterized. When you’re uncertain about the determination of certain materials, handle their containers as if they’re a hazardous waste to avoid potential citations. 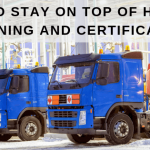 A DOT Hazmat Certification is necessary for legally working with hazardous wastes to reduce the risk of dangerous accidents. For more information on DOT Hazmat Certifications or requirements for handling hazardous waste, contact Hazmat School today.